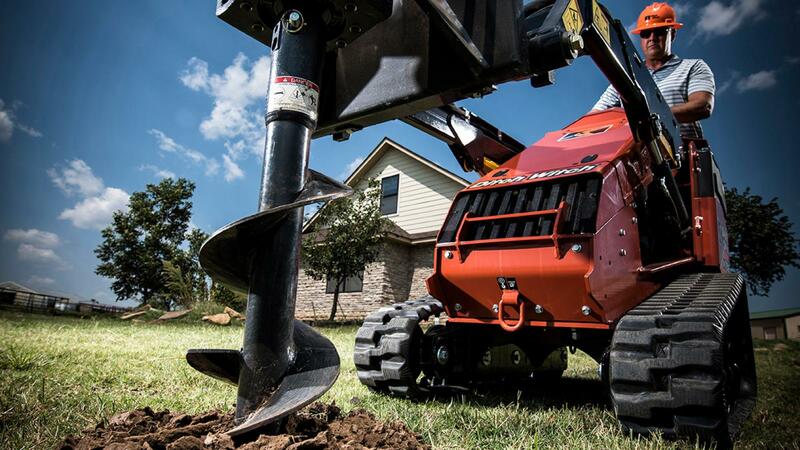 When your jobsites demand long-lasting durability and performance, you need the Ditch Witch SK800—the perfect mini skid steer for a variety of jobs large and small. 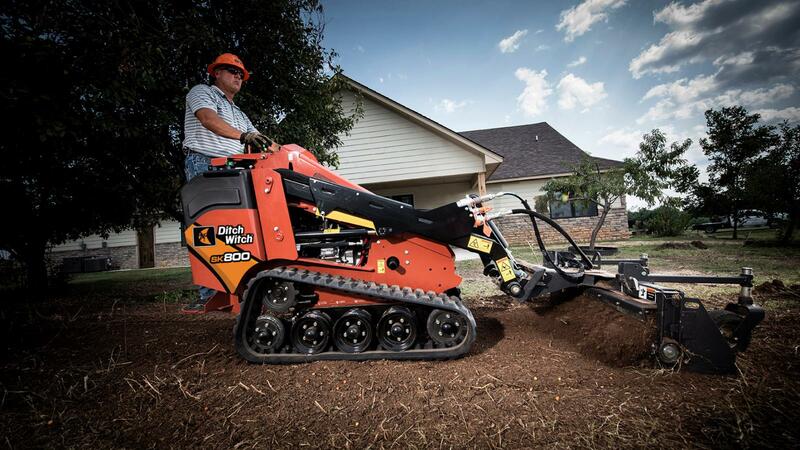 This construction-grade machine is built for heavy-duty operation on a range or utility, landscaping and other underground construction tasks, giving you maximum power and durability while increasing your ROI. 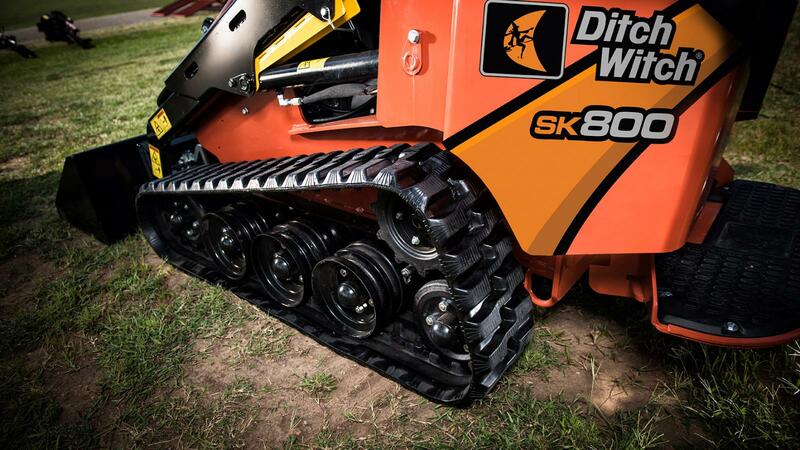 The toughest challenges are no match for the versatile SK800. An efficient, low-maintenance 24.8-hp (18.5-kW) Kubota diesel engine provides exceptional power to all machine functions. With an 860-lb (390-kg) rated operating capacity and an 83-inch (210.82-cm) hinge-pin height, the SK800 enables productive loading and the ability to handle heavy-duty tasks. 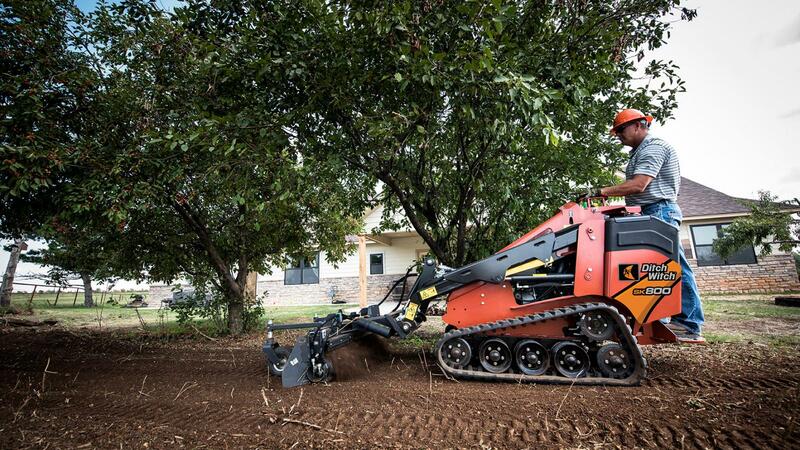 Equipped with 4.8-mph (7.7-km/h) ground drive speed in both forward and reverse for enhanced jobsite efficiency. Designed specifically with the hardworking operator in mind, the SK800 is equipped with a best-in-class, 332-in2 (843-cm2) operator platform for outstanding comfort and productivity during long hours on the job. 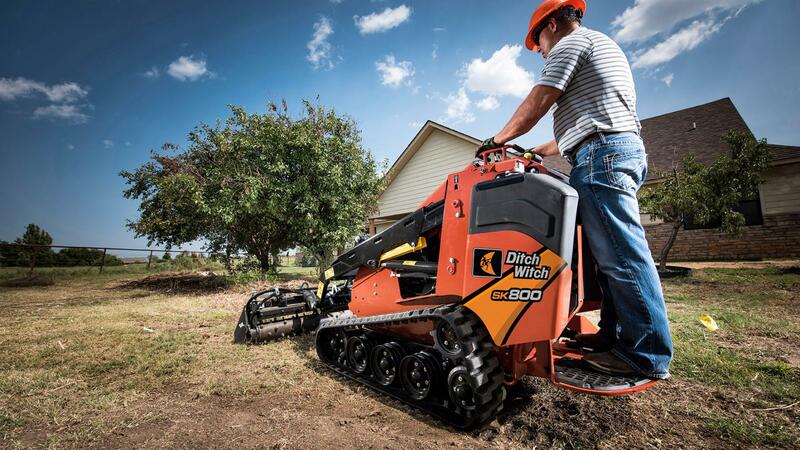 The SK800 leverages the common design and standard operation of other Ditch Witch skid steer models to streamline operator training and simplify machine maintenance. 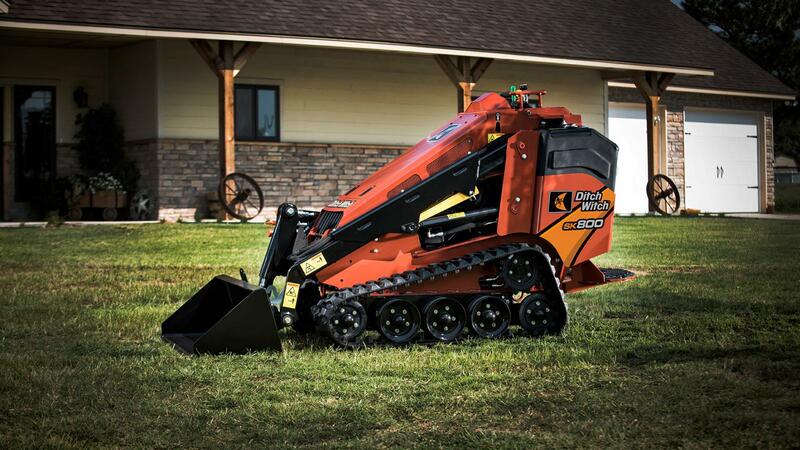 As with all Ditch Witch equipment, the SK800 is backed by a worldwide network of dealerships you can count on for unmatched commitment to your success. 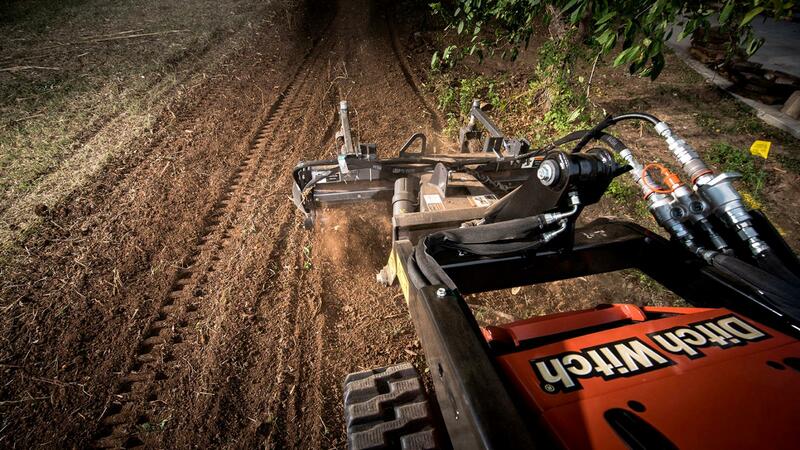 From genuine Ditch Witch parts to factory-trained service and expert advice, your Ditch Witch dealership is your trusted partner on any job. 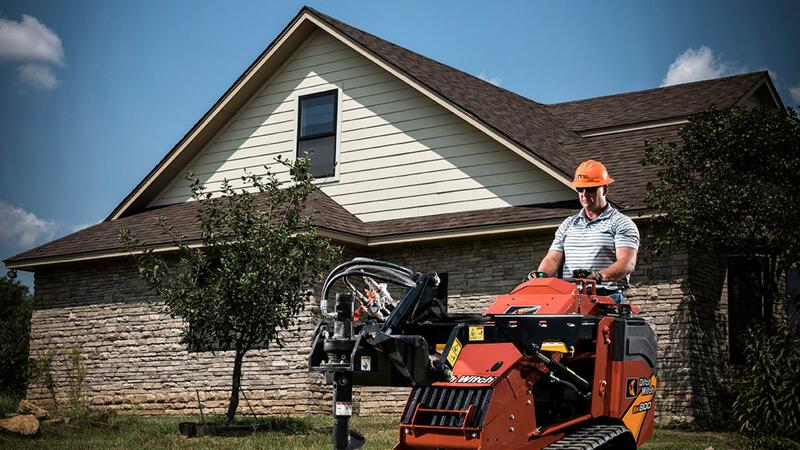 Low-maintenance, track-tensioning system is equipped with a grease cylinder for easy adjustment and track removal, improving machine longevity and minimizing downtime. A two-way, easy-to-use auxiliary control foot pedal enables operators to maintain hydraulic flow to the attachment while freeing their hands to control depth and ground speed.